A moving message: Don’t text and drive! 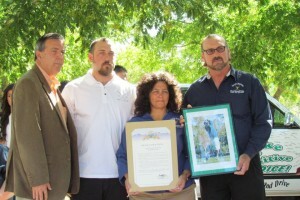 Mayor Jim Ledford presented the Hefter family with a proclamation declaring September 12, 2011 as “Don’t Text and Drive Day” in the City of Palmdale in memory of Jacob Hefter. 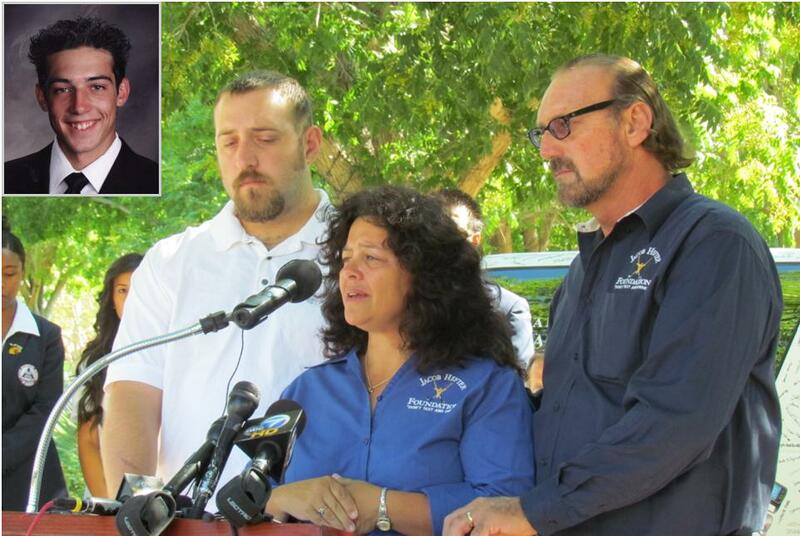 PALMDALE – A visibly emotional Angela Hefter sent a heartfelt message to the community Monday: Don’t text and drive! The Hefter family joined Palmdale Mayor Jim Ledford and several county and state agencies Monday for a press conference to announce the proclamation of September 12, 2011 as “Don’t Text and Drive Day” in the City of Palmdale in memory of Jacob Hefter. Three years ago on September 12, 2008, 18-year-old Jacob was one of 25 people killed in the Metrolink train accident in Chatsworth. Since June 2011, the Don't Drive and Text vehicle has already garnered more than 2,200 signatures. The investigation revealed the Metrolink engineer ignored a red light signal because he was texting on his cell phone. Citing National Safety Council estimates, Community Safety Supervisor Kelly Long said 1.4 million crashes each year are caused by drivers using cell phones or texting while driving. 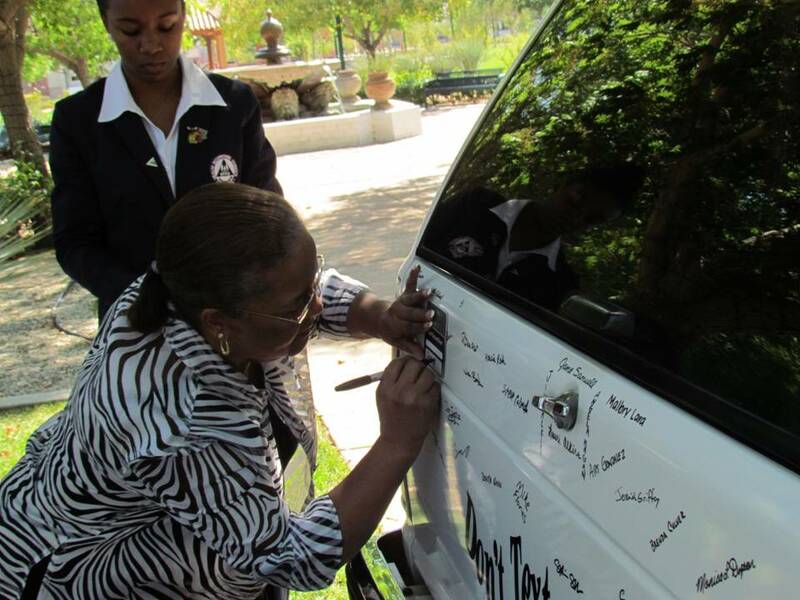 Those who ignore the message will pay the price, said law enforcement officials. “On behalf of the Palmdale station, for those of you out there that still practice this, we are going to do everything in our power to help prevent this,” said Lt. Paul Clay of the Los Angeles County Sheriff’s Palmdale Station. Clay said there were 2,400 cell phone violations (including texting and driving) last year and more than 1,600 violations for 2011. The California Highway Patrol is also cracking down on distracted drivers. Through September 19th, the department will be conducting focused enforcement on distracted drivers. 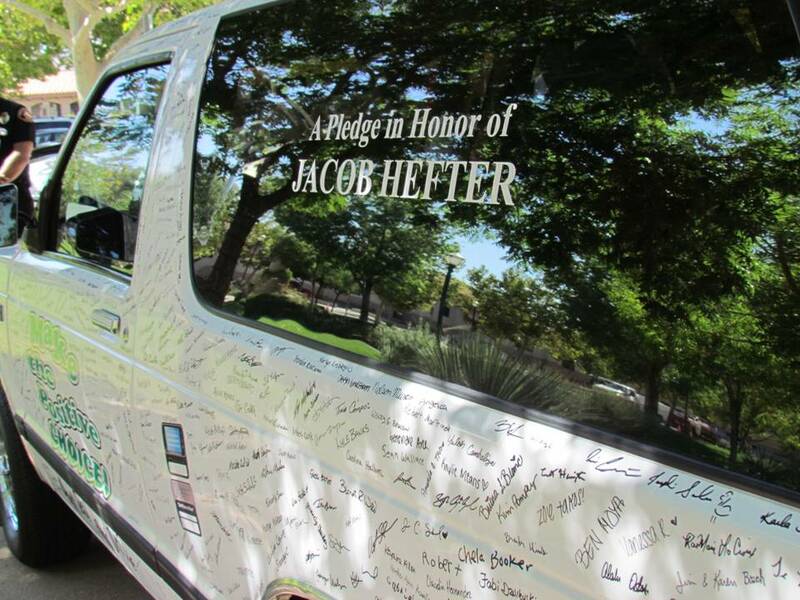 In setting a good example, the Hefter family (through the Jacob Hefter Foundation) is inviting the community to make the pledge to not text and drive by signing a 1984 Chevy Blazer that Jacob once drove.